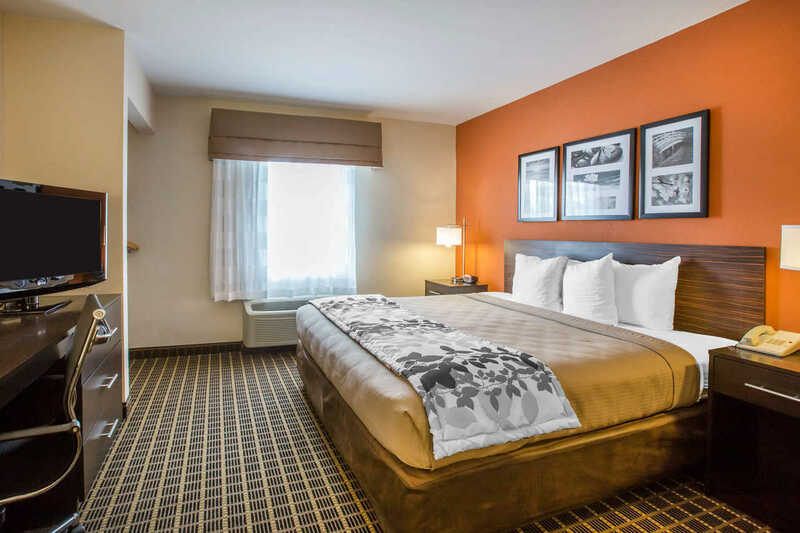 If you are looking for a relaxing stay with outstanding hospitality, our Sleep Inn hotel is dedicated to accommodating each guest with five-star service. 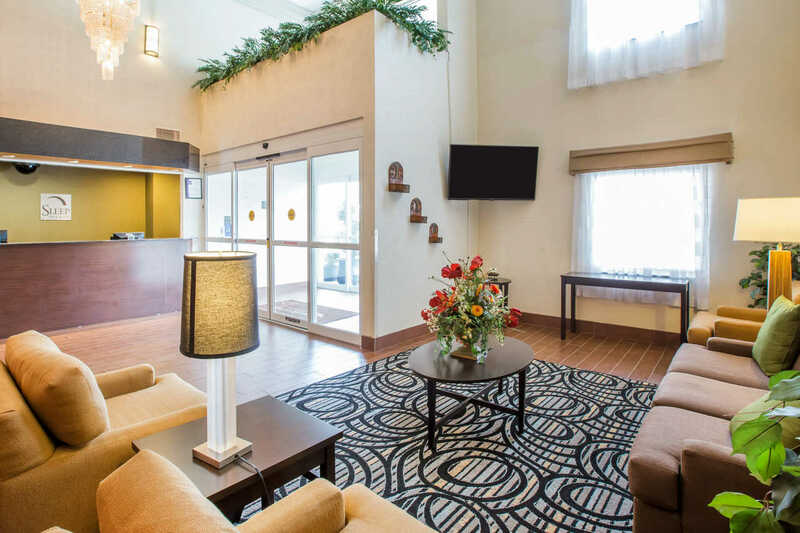 Our staff provides a friendly, reliable and relaxing stay for a price that won’t break the bank. 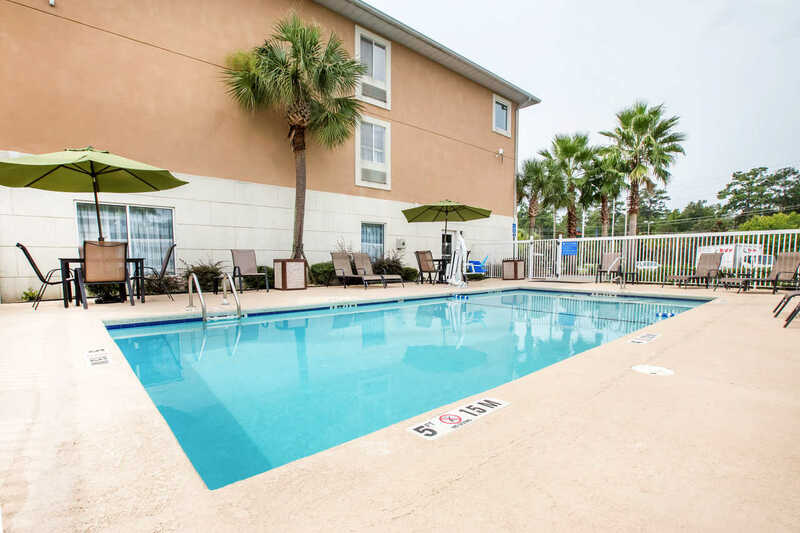 Sleep Inn & Suites hotel in Valdosta, GA is located off Interstate 75 and Route 133, just 10 minutes from Lake Sheri. We're also close to the Withlacoochee River. 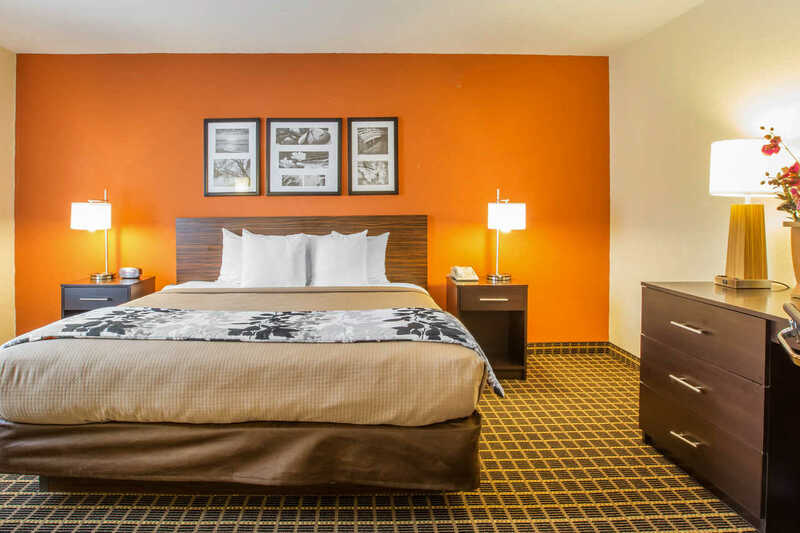 If having the best possible room is key to happy travel, then our Sleep Inn & Suites hotel has you covered. 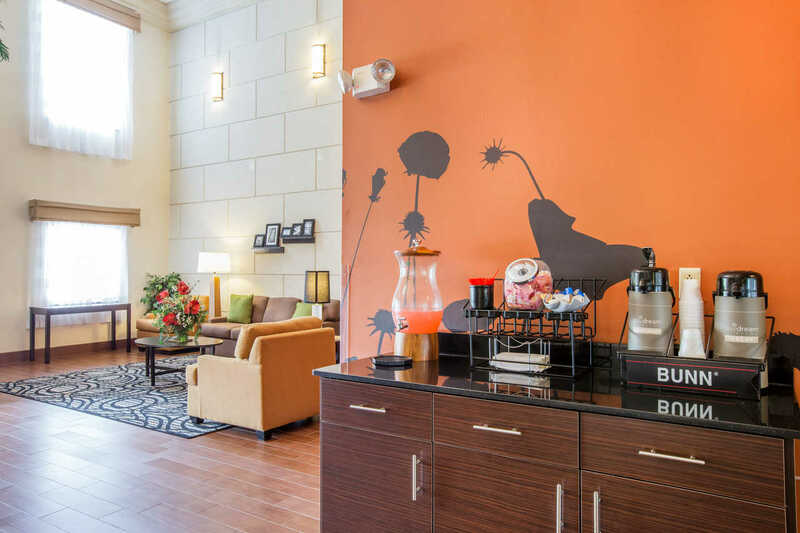 Amenities included in your stay are free morning medley breakfast, WiFi, seasonal outdoor pool, guest laundry facilities, a business center, and a fitness center. 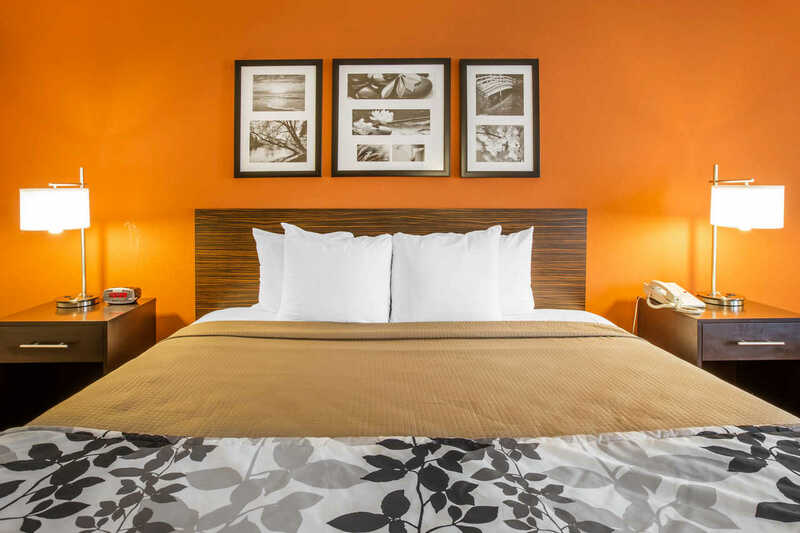 We make traveling easy by offering you the best night's sleep and the essentials that matter. 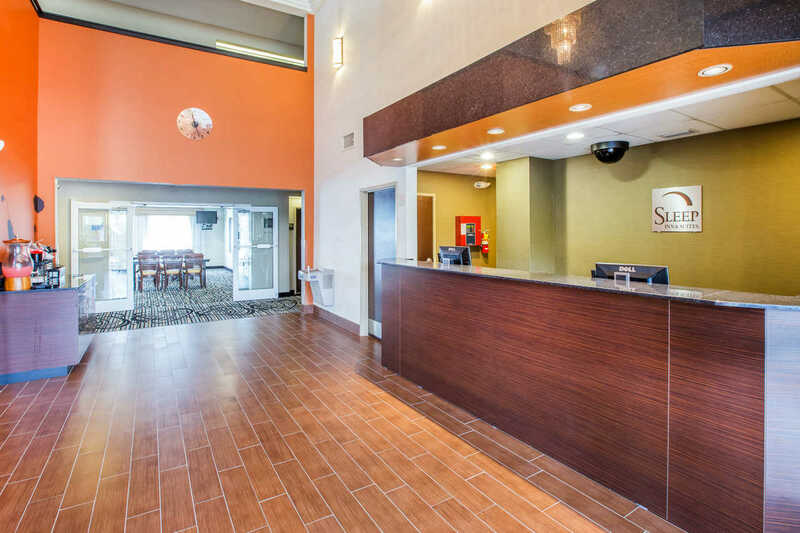 Sleep Inn & Suites in Valdosta, GA radiates warm and welcoming messages as our guests arrive. 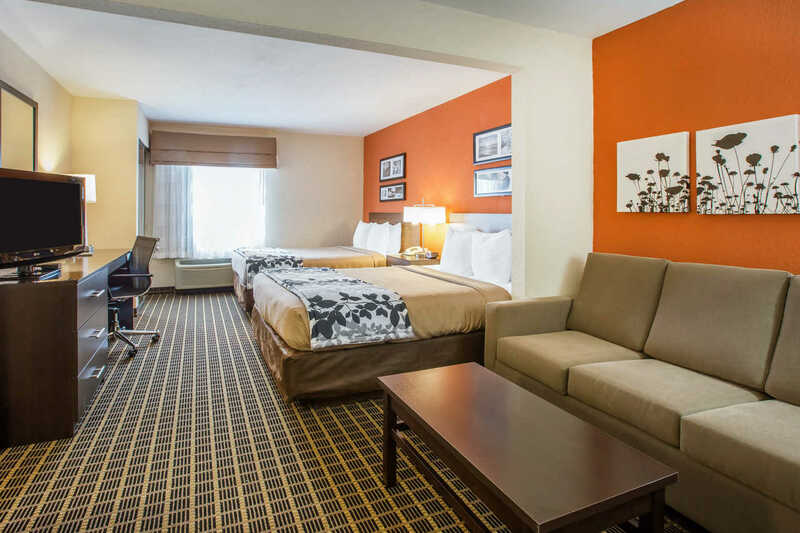 When you book a room at our Sleep Inn hotel, endless accommodations will be at your fingertips. 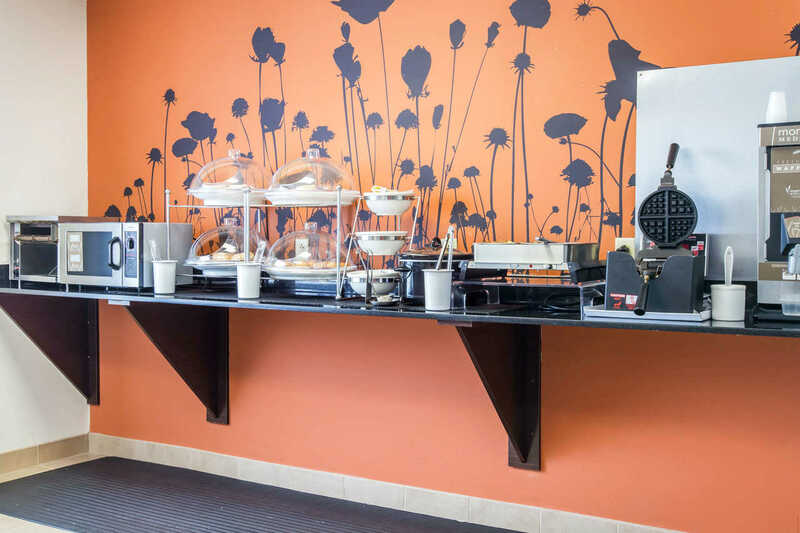 In-room amenities include refrigerators, microwaves, coffee makers, hair dryers, executive work desks, and ironing boards. Additionally, each room has granite bathrooms with large showers or bathtubs, and a select amount of rooms have whirlpool bathtubs. Vacation calories don't count. If you don't come home from vacation five to ten pounds heavier than when you left, did you really enjoy your time away to the fullest? When you are in the heart of the south, you need to think biscuits and gravy, meatloaf, fried chicken and juicy steaks. Steel Magnolia's, Mom and Dad's, Smok'n Pig BBQ, Bubba Jax Crab Shack, 306 North, Austin's Cattle Co, King's Grill, and Empanadas and More will make your mouth water. It's time to shop until you drop. From national chains and outlets to trendy boutiques and one-of-a-kind finds, shopping in Valdosta always comes with a warm, sweet, and welcoming experience. Shop in Downtown Valdosta or head to Valdosta Mall, which is an indoor shopping mall composed of more than 70 stores and restaurants. When it comes to the outdoors, there is no better place than the heart of South Georgia. If you are looking for a full day of adventure, head to Grand Bay Wildlife Management Area which is located in a 13,000 acre wetland system. You can launch a boat or canoe and follow trails through the haunting Blackgum Swamp. Reed Bingham Road Lake is popular for boaters and skiers, and individuals who are looking to canoe and or go paddle boarding. Fishing for bass, crappie, catfish and bream is excellent too. 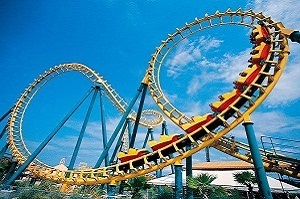 Lastly, for the thrill seekers, Wild Adventures Theme Park is a water park and animal park all in one for a great value. Are you looking for signature nightlife? The sound of footsteps can be heard strolling in and out of bars and nightclubs. A self-described dive bar, Ashley Street Station offers free pool every Wednesday and live music as often as possible. Rum Runners serves drinks and tends customers’ needs. This nar also hosts a dart league on Tuesdays, karaoke, trivia and the occasional band. It's time to. The night is young, cheers! The Carnegie Library of Valdosta is a Carnegie library building in Valdosta, Georgia. It was constructed in 1913 for $40,000, with help from a $15,000 Carnegie grant.It was the first building designed by local architect Lloyd V. Greer. It opened in 1914. 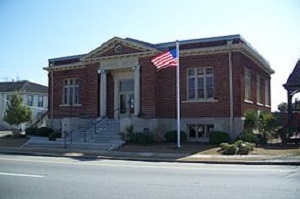 Decades later it became a branch library and then the base for the Lowndes County Historical Society. It was added to the National Register of Historic Places on January 12, 1984. It is located at 305 West Central Avenue. The library building is now home to the Lowndes County Historical Society and Museum. Valdosta Mall is an enclosed shopping mall located in Valdosta, Georgia, United States.It is composed of more than 70 stores and restaurants in 560,000 sq ft of gross leasable area. Belk, JCPenney, and Sears are the mall's anchor stores. 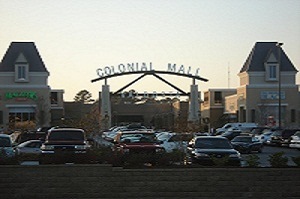 The wing featuring J.C. Penney was part of a 1985 expansion.The mall was formerly known as Colonial Mall Valdosta under the ownership of Colonial Properties Trust who sold the mall to Jones Lang LaSalle in 2007.The mall is currently owned by CBL & Associates Properties. Valdosta State University, also referred to as VSU, or Valdosta State, is an American public university and is one of the three regional universities in the University System of Georgia. 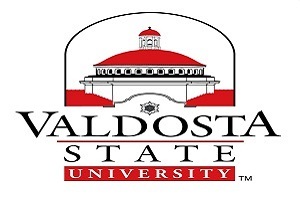 Valdosta State is located on a 168-acre campus at the heart of the city of Valdosta. VSU serves over 11,000 undergraduate and graduate students representing 157 Georgia counties, all 50 states, Puerto Rico, the Virgin Islands, American Samoa and Washington, D.C. and hosts over 300 international students from 76 countries.VSU also offers classes at Moody Air Force Base north of Valdosta in Lowndes County. Wild Adventures is a zoological theme park 5 miles south of Valdosta, Georgia, United States. It is owned by Herschend Family Entertainment. The park features rides and attractions, including eight roller coasters, exotic animals, shows, Splash Island water park and concerts from country, pop, rock, Christian, and oldies superstars. The park is located just off interstate 75. 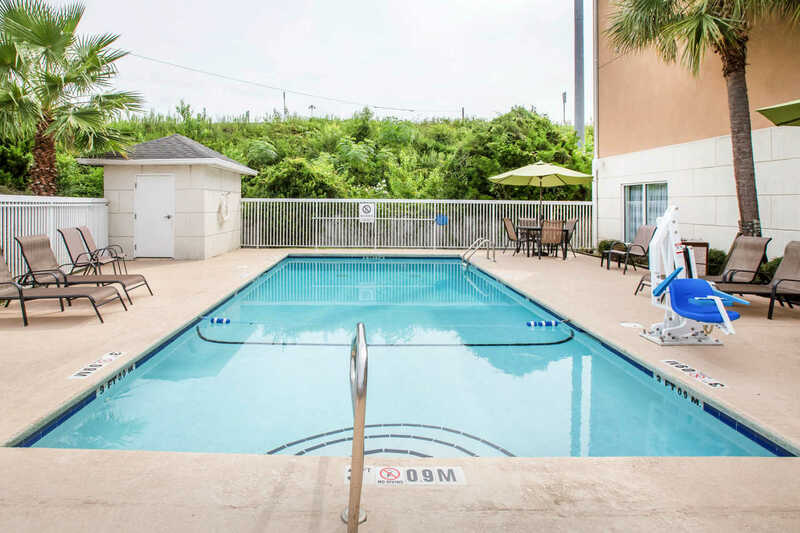 There is an additional Occupancy tax of $5 and $2.50 cleaning fee/room/night which is not included. Last minute booking as it was getting late, was splitting the trip to Port Canaveral for a cruise. Completed booking hotel over the phone, took only minutes. Quick check in and friendly staff member at the front desk. Clean room, very nice marble shower and hot water!! Got a nice sleep, didn't even turn on the tv!! The breakfast was fair, hot waffle, orange juice, fruits, cereal, cold milk but....no eggs or bacon. There was sausage and gravy, not my thing. Would highly recommend!!! Stayed one night in a King Size bed room. Room was clean. I was allowed to check in early. Front desk staff was attentive and friendly. Breakfast is good for the price of the hotel. I would definitely recommend this hotel. 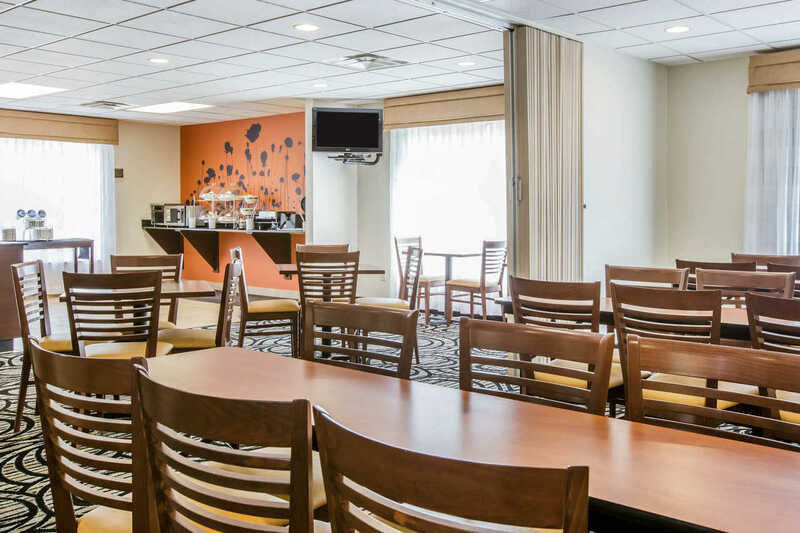 This inn is delightful with a charming lobby and such nice comfortable rooms. The staff were professional and one is made to feel at home from the moment of entry. The breakfast was very good. Would definitely stay here again. I stayed two nights in the Sleep Inn in Valdosta. This was a wonderful experience. 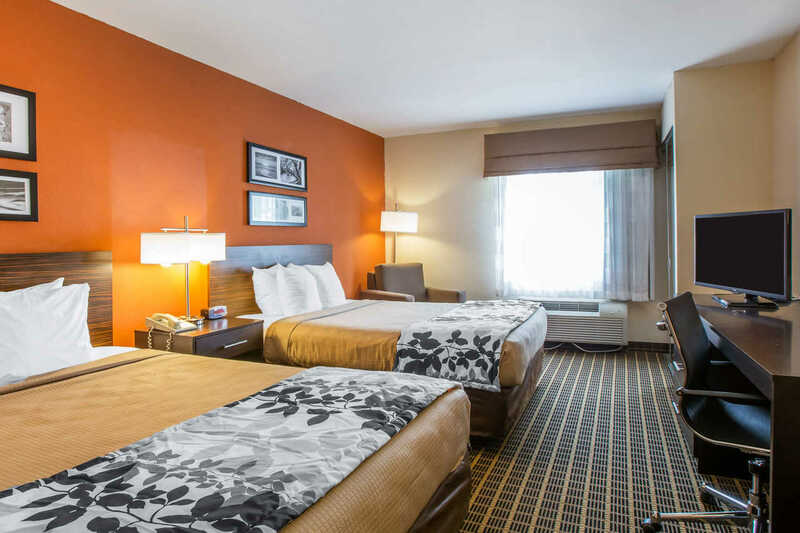 The rooms were clean and the staff were courteous and helpful. 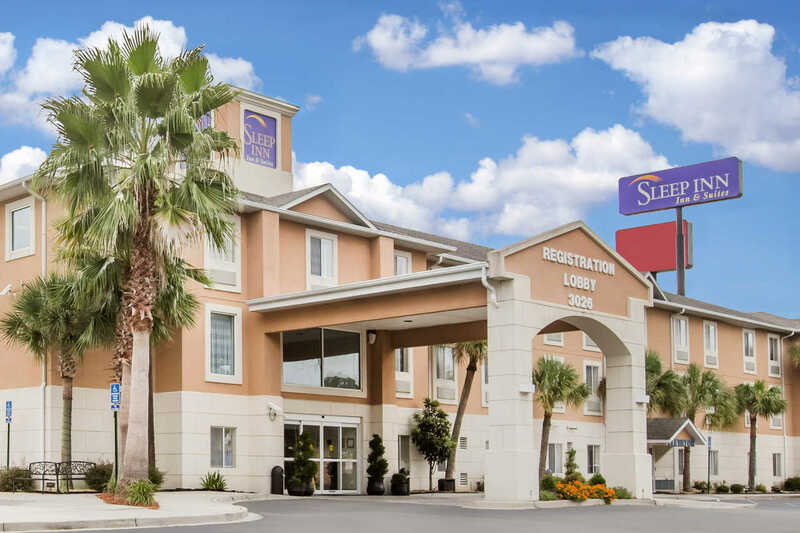 Anyone who is interested in a safe clean place with great hospitality would be delighted to stay at the Sleep Inn in Valdosta. After an exhausting day traveling we stopped at this Sleep Inn in Valdosta. I'm so glad we did: the desk attendant was so welcoming and accommodating. He really acted proud of his job! Our room was immaculately clean and comfortable. Goodies were served in the lobby at 6:00. Breakfast had a very nice selection. Stay here for a nice break from traveling. Everything was above what I expected. From an attractive lobby, lobbies at the elevators, a beautiful pool in the sun, and warm cookies in the lobby, great room, sheets in the closet for the hide a bed, and a small mimi kitchen and a wonderful clerk who checked us in it was excellent. After being stuck in traffic on our way to Florida, we stayed here for the night. We didn't arrive until 11pm but I will say the desk staff was pleasant and the room quiet and comfortable. It was just what I needed after being up for 23 hours. WoW... We will be BACK!!!!!! My company had over 15 guests booked into the Sleep Inn. What a great breakfast, plus nacho's every night helped us reach our per diem "Pocket $$$" to be saved since they have thought things out for their guests in advance. An excellent stay due to all the little things they provide for their guests. We will be BACK!